We still recall the first vial of Ligandrol (LGD-4033) that we’d sourced from an underground lab. That was way back in the mid-2000s, much before Will Grier & Joakim Noah made the name public. Someone who’d been peddling AAS for years had shut down shop and was going the legit way. They wanted us to test this amazing ‘supplement’ that was nearly as good as Testosterone. As we unboxed that crude looking vial and looked at the slightly turbid solution, we couldn’t help but wonder whether this was some toxic dope cooked up in a backyard lab. But try it we did. Fresh off a bulk AAS cycle. And we were amazed with the results. So much so, that we sent the stuff to a lab to do an independent test, almost expecting to find prohormones or Testosterone in it. Back came the results. 97.3% LGD-4033. Too bad that the source has shut his business for good and is busy selling Yoga Mats picked from Shenzhen. LGD4033 has been a staple in our gear since then. 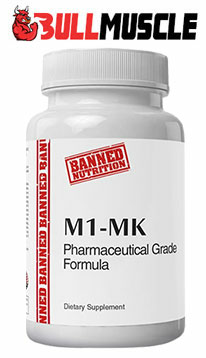 We have been using it on and off, mainly for quick bulks. If you are looking to experiment with Ligandrol , then here’s a brief primer on this SARM. Buy LGD-4033 w/ 40%+ Off! 3 What are the side effects of Ligandrol? LGD-4033 was discovered by Ligand Pharmaceuticals in the mid-2000s as part of their investigations into SARMS for androgen receptor stimulation in muscle and bone tissue selectively. A Phase-I clinical trial was initiated as early as 2009 and it was reported that the drug is extremely effective at preventing muscle wasting, increasing lean muscle mass and it does it without the risks associated with exogenous androgens. A few years later, Viking Therapeutics took over the research and initiated Phase II of clinical trials in 2016. The drug is considered to be one of the most promising new developments of this century and might well change the way cachexia is treated. In the underground market, LGD-4033 has earned the moniker ‘Anabolicum’ and is used by bodybuilders, gym rats and athletes looking for effects that are comparable to testosterone. If we were to sum it up in short, LGD-4033 will give you at least 50% of the results that you would achieve with a cycle of exogenous testosterone Enanthate or Propionate. But the results will be a lot cleaner. You wouldn’t have to pop Aromatize Inhibitors or SERMS because Ligandrol does not aromatize or get converted to Estrogen. The most notable effect is that there’s no change whatsoever in the prostate specific androgen levels. Even after a full cycle, your PSA levels will be unaffected. Let’s look at the effects in detail. 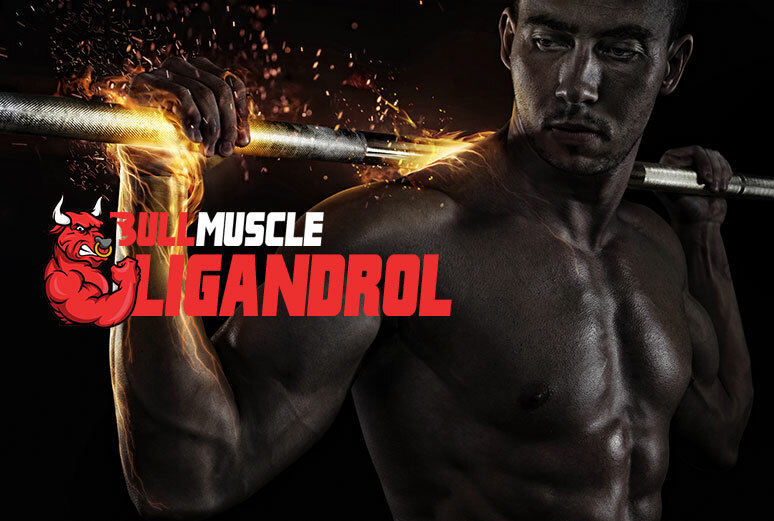 It has been proven in multiple clinical trials that Ligandrol helps users gain lean muscle mass. And that’s the reason why it’s used primarily for bulking cycles. You will not blow up the way you would with a Dianabol cycle. But there will be a noticeable effect on your shoulders and trap muscles. The striations will be impossible to miss. They look bigger, fuller and harder. The water retention if any, is minimal. You can expect to gain up to 5-6 lbs. of lean muscle mass if you eat clean and lift hard. The vascularity that one gets with Ligandrol might not be comparable to what you’d get with S4. But it’s definitely there. The veins will be more visible. That might also be due to the slight fat burn that occurs with strong androgen modulators. But you will love the fuller, venous look on your muscles. Ask most users who have done an Ligandrol cycle and they’d say they didn’t drop their body fat percentage even by a wee bit. But that’s more because of the diet than anything else. It is clinically proven that SARMS do help reduce overall body fat and a potent androgen modulator like anabolicum will definitely help burn fat. Even if you are eating in a surplus, don’t go overboard and gorge on everything you get your hands on. Eat clean, hit the weights hard, do cardio and you should notice a visible reduction in body fat levels while you gain muscle. The strength gains, especially in the first few weeks of the cycle are unbelievable. Get ready for that god-like feeling in the gym as if you are on exogenous Testosterone. You should easily be able to surpass your previous bests. What are the side effects of Ligandrol? Ligandrol is one of the safest SARMS out there that is backed by multiple clinical trials. It is extremely well tolerated in recommended doses. However, you can expect some mild side effects while you are on it. LGD-4033 will suppress you by up to 50% in an 8-12-week cycle. Some people experience mild testicular atrophy as well. Whether or not you need a PCT to recover depends on your blood log. Do not jump into a PCT just because you read it on some stupid forum. Do a blood work. Watch out for symptoms of Low T. If your body does not recover as expected, then you can do a mild PCT. Some users also recommend adding DAA (D-Aspartic-Acid) to PCT. But we cannot recommend something that we’ve never used. Some users experience the symptoms of Low T by week 6 or 7 of the cycle. Mild joint pain, lethargy, sleeplessness, if you notice any of these symptoms and its persistent, you can expect that it’s the suppression kicking in. LGD can cause a mild flu in the first few days. This is individual specific. Some users experience a mild flu while others have severe fever and chills for three to four days. It usually subsides on its own though. LGD-4033 is a very powerful SARM that’s best used in a standalone cycle, especially if you have never used SARMS before. It is most suited for bulking cycles. However, with a good diet and workout plan, you can also use it for body recomposition. For bulking, you can start with 20-25mg/day for up to 8 weeks. If you feel fine after 8-weeks, you can extend that cycle to 10-weeks. We do not recommend using it for more than 10-weeks at a time. For body recomposition, you can go with a slightly lower dose since you will most likely be stacking it with a cutting compound. 10-15mg/day should suffice for this. Remember, the more SARMS you stack, the more severe the suppression in natural test production. LGD-4033 is a safe and potent SARM and will most likely be the first one that most people use. It should give you a good idea of what to expect if you plan to hop on to AAS down the road. You will get stronger, leaner and look bigger than you ever did.